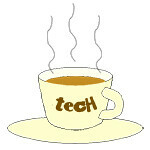 Lens « Tech bytes for tea? The Abdul Gafoor Mosque is in Little India off Jalan Besar in Singapore. * The information in this article was derived from Wikipedia’s article on the mosque. The rear facade of the Masjid Abdul Gafoor is actually two stairs that ascend to the cupola at its rooftop. Photo taken using a Canon EOS 5Ds and EF 50mm F1.4 USM prime lens. Photo credit: John Tan. The area in which Masjid Abdul Gafoor was built is also known as Kampung Kapor, which was a centre of business activity for Indian merchants. The mosque also served Muslims who worked at the old race course at Farrer Park. The predecessor to the Masjid Abdul Gafoor at the location was an earlier mosque named Masjid Al-Abrar which was built in 1846 for the South Indian Muslim merchants and Baweanese syces and horse trainers living in the area. The name of the mosque at the entrance. According to Wikipedia, “In 1881, a deed of assignment dated 14 November 1881 created the Dunlop Street Mosque Endowment or wakaf. The two trustees were Ismail Mansor and Shaik Abdul Gaffoor bin Shaik Hydert. Abdul Gaffoor was the chief clerk at a legal firm. The wakaf was created for the building of a mosque for the Muslim community in Singapore. The deed of assignment also placed in trust several other properties including a Muslim burial ground and a house in Race Course Road. The burial ground was closed in 1921.” Photo taken using a Canon EOS 5Ds and EF 50mm F1.4 USM prime lens. Photo credit: John Tan.